Embroiled: Swiss Churches, Apartheid and South Africa. By Caroline Jeannerat, Eric Morier-Genoud and Didier Péclard. Zürich, Münster, New Brunswick and London: LIT and Transaction, 2011. Xvii + 373 pp. ISBN 978 3 8258 9796 3. Embroiled is drawn from a study-report funded by the Swiss National Science Foundation that was supervised by Patrick Harries at the University of Basel. The commissioning of such a report points to an uneasiness in Switzerland over their relationship to apartheid South Africa, and it is a history indeed that the study echoes strongly. It is a joint project by Caroline Jeannerat, lecturer in African history and Mission Christianity at St Augustine’s College, Johannesburg; Eric Morier-Genoud, lecturer in African history at Queen’s University, Belfast; and Didier Péclard, senior researcher at the Swiss Peace Foundation in Bern and lecturer in political science and African studies at the University of Basel. As such, the book has the benefit of drawing on a wide breadth of research material and perspectives, and thus this is a richly documented study, with extensive appendices, interviews and in-depth archival research that will be a very helpful resource for researchers. An insightful and generous preface by Harries points to the interlinked histories of Africa and Europe, and the importance of developments in Africa for understanding Swiss cultural and political life. Harries argues for an understanding of the Swiss Mission as ‘a dynamic and shifting institution that had constantly to adapt and reshape itself, while negotiating its role in Africa with a host of individuals and organisations’ (xiv). A further theme Harries points to is the perceived malleability of new converts in Africa, a continent in which Christians hope ‘a new man could emerge, separated and protected from the vices and values of competitive capitalism and industrial society’ (xv). Harries’ preface sets a high standard, and it is one that the study provides depth and detail to, if not the same wide vision that Harries’ perspective provides. The first section of the book predominantly covers the intricacies of the Swiss Mission’s establishment of mission-stations in South Africa and their role as landowners before 1948. 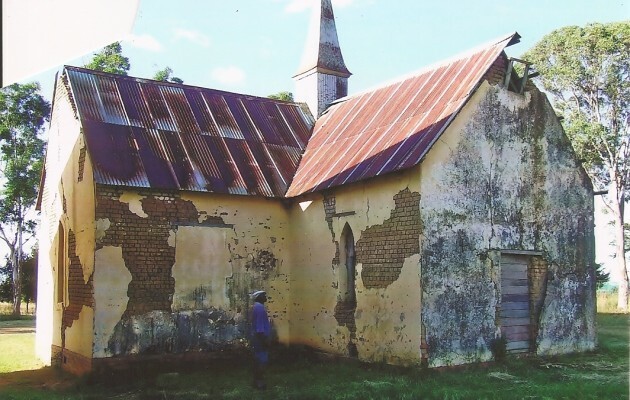 The authors note the paradoxes and tensions the church navigated as a substantial landowner, whilst simultaneously seeking to provide spiritual guidance to African converts. The book focuses closely on the politics of the Elim mission station, established in 1879, and the Lemana Teacher’s Training College founded close to Elim in 1906, both situated in the then Northern Transvaal. Here the authors demonstrate how an assertive African convert population ran into regular conflicts with the Swiss Mission, as they looked to assert independence in spiritual and practical affairs, challenging the missionaries to live up to the ethical standards proclaimed from the pulpit. The Swiss missionaries are shown to occupy the contradictory position of advocating a theology of two spheres, which separated their spiritual and material responsibilities – a dualism which was unsustainable and unfair in practice. As the authors note, the mission-staff ‘argued it was unacceptable for the tenants to confuse religious and secular realms’; however, for the tenants, the staff remained ‘missionaries and landowners, and issues in one sphere could not be neatly distinguished and separated from issues in the other’ (63). The book therefore helps African converts to emerge strongly in the narrative. This helps to enrich our understanding of the dialectical construction of Christianity in mission-stations, as African converts simultaneously inflected faith in a difficult negotiation with missionaries themselves. A further advantage that the book displays, is the way the study of Christian mission offers insight into the implementation of segregation and apartheid-policy and how the Swiss church facilitated the development of Tsonga ethnic identity, casting a wider perspective on the role of Christianity in the differentiation and consolidation of ethnic categories in southern Africa. As the writers note, ‘apartheid discourse fundamentally challenged the core of how the Mission conceived of itself, its work and task, its relation to Africans, and how it imaged creating a modern, educated, civilized and Christian African’ (97, emphasis in the original). The authors emphasize the close links between the Swiss Church and the creation of a Tsonga ethnic identity (174) and the deliberate role the Swiss Mission played in moulding an ‘intellectual elite’ (19). The missionaries’ desire to create such an elite, particularly ‘an elite rooted in the land’ (53), ran into conflict with the segregationist policies of the South African government starting with the 1913 Native Land Act and through the successive segregationist legislation of the 1930s. Two other helpful areas of the first part of the book are, first, the close detail on the Swiss mission’s administration of hospital care (36-43), and second, the delineating of differing responses to apartheid within the Tsonga Presbyterian Church, the independent black church that emerged from the Swiss Mission. These different responses to apartheid, the authors show, continue to resonate strongly into the modern day period as some ministers were influenced by prophetic Christianity that vehemently denounced the apartheid state, and led to deep tensions with more conservative elements in the church and a split in the 1980s that has yet to be breached. In the second half of the book, a helpful international perspective emerges, which charts the growth of the anti-apartheid movement in Switzerland and the debates in Swiss public life that apartheid generated, particularly in the 1970s and 1980s. The author point to the deeply divisive nature of apartheid for Switzerland itself (316), which accentuated fault lines in the country that remain to this day. The authors acknowledge that there was an official silence in Switzerland on apartheid as well as widespread suspicion of anti-apartheid activities in the country (212-213). They note that the grants made by the World Council of Churches to liberation movements under the Programme to Combat Racism, the first of which were issued in September 1970, ‘sparked a major, bitter and lasting controversy in Switzerland’ (214), one reason being that it threw up the ethical question of Christians’ stance in relation to the use of violence to achieve social change. There is some repetition and replication of material in the transition from Chapter 5 to Chapter 6, which hints that they should have been integrated. Of particular interest is how the book documents the development of a Swiss countermovement from the early 1970s. This movement was more sympathetic to the position of the South African government (274), and led by the Fédération des Églises Protestantes de Suisse (FEPS, the Federation of Swiss Protestant Churches) opposed calls for sanctions led by the World Council of Churches and the United Nations. Instead, they advocated dialogue with the South African state and a gradualist reform of apartheid. This movement organized a succession of consultations in the 1980s with Swiss banks that held substantial investments in apartheid South Africa. This consultation-process, the authors show, was exploited by the banks to forestall any substantial action against the South African government and only provided the banks with an opportunity to filibuster [… …]. We find that Switzerland refused to endorse the United Nations and European Community stand to place sanctions on South Africa in 1986 (281). A weakness in the book is the poor eye to detail where, for example, we read that the World Council of Churches launched the Programme to Combat Racism in 1970 (214), 1969 (239) and 1968 (318) and there are further occasional oversights in editing. The appeal to an ‘embroiled church’ also tends to echo the confused position in Switzerland in relation to their role in apartheid and to downplay the agency of the Swiss mission. As such, the book would have benefited from a more robust line of argument that guides the reader more firmly. The in-depth documentation, whilst impressive and revealing for our understanding of the micro-politics of the Swiss Mission, would have benefited from a stronger guiding hand that leads the reader into a clearer position. As such, the reader is left to their own conclusion as to how the detailed evidence hangs together. Overall, the book is as an asset to our understanding of the contribution of Christianity and Christian missions to the creation of modern South Africa, particularly with the continued role of traditional authorities and our understanding of the historical nature of their constitution in relation to missionary Christianity. The book is also a contribution to our understanding of the deeply religious nature of South African history, the painful place of apartheid in that history and the place of Christian mission-history in understanding the struggle to overthrow apartheid. However, it is also a study that echoes the ambiguity surrounding the Swiss role in apartheid, and thus misses an opportunity to place the question more firmly to rest. Source: SOUTH AFRICAN Historical Journal, Volume 66 Number 2, June 2014, 401-404.